It was with great surprise that an email and telephone call has led to this posting. 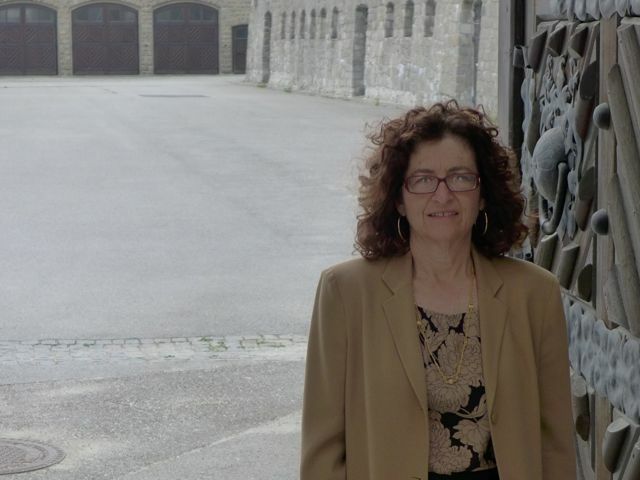 On Wednesday, April 10, 2013, I was notified by Niko Wahl, curator of the Mauthausen Memorial, about 90 miles from Vienna, Austria, that a permanent display of “This Is Your Life, Hanna Bloch Kohner” would be opening along with the an entirely new exhibition at the memorial on Sunday, May 5. The museum, which was closed for many years, has been restructured and modernized to enable visitors to bear witness to the testimonies and artifacts from this infamous concentration camp. 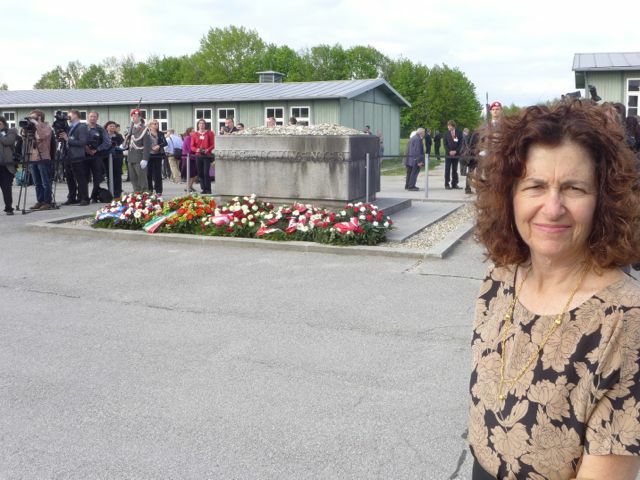 The result of the contact made by Mr. Wahl led to an invitation by the Austrian Ministry of Culture, for myself and my husband, Steve, to come to Mauthausen and take part in the ceremonial re-dedication of the memorial and museum. 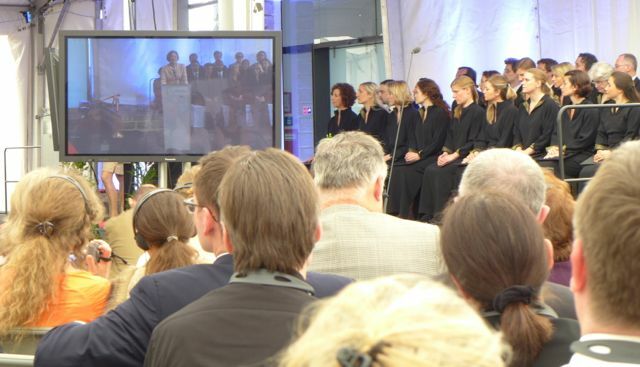 With more than one-thousand invited guests, including the Heads of State from Austria, Poland, and Hungary, Ministers from Israel and Russia, and American Ambassador to Austria, William Eacho, we had the opportunity to witness the dedication speeches, the introduction of 30 Mauthausen survivors, and ceremonial commemorations to be included in a time capsule that will remain in place at the memorial for at least 100 years. I was honored to see the promenant place that Hanna’s story has, just off the main museum entrence. 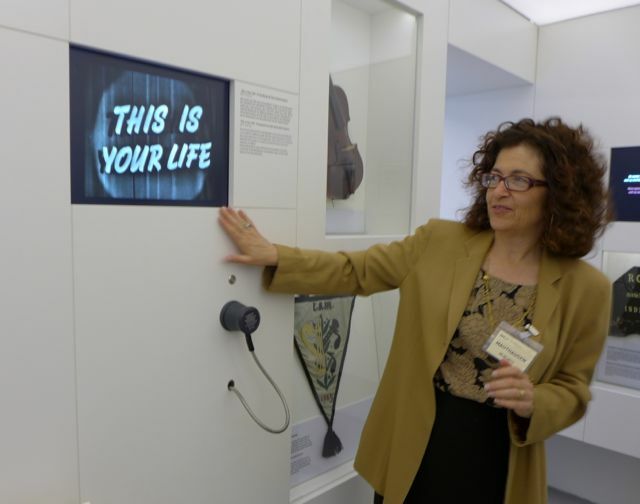 Hanna’s display features an eight minute segment of the “This Is Your Life” episode. As I observed the many guests in attendance who came through the permanent exhibit, I had the opportunity to share Hanna’s story in more detail. This was the experience of a life-time, and the result of work we do at Voices of the Generations, that continues to be rewarding, fulfilling, and ever more important. 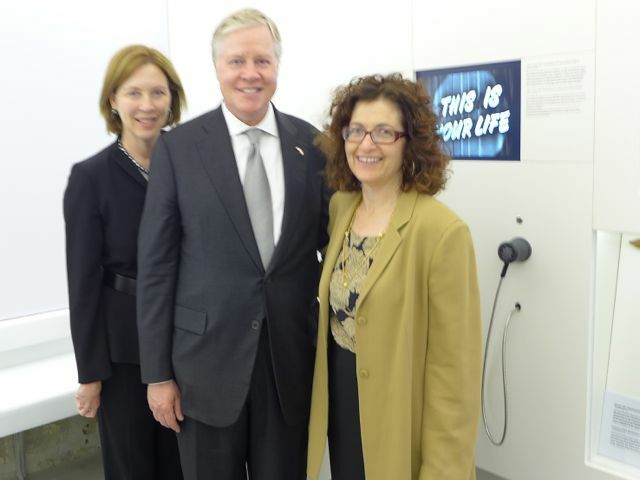 Julie Kohner with American Ambassador to Austria, William Eacho and his wife, Donna Eacho, at the re-dedication of the Mauthausen Memorial. 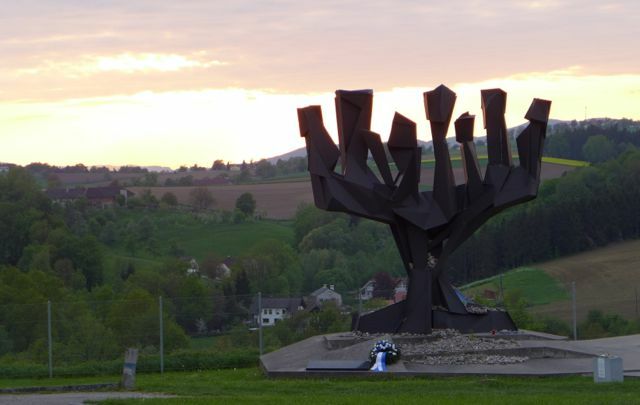 The State of Israel memorial at Mauthausen.